The Nurse Practitioners and Family Physician are your primary care providers. Their goal is to assist you in developing healthy living strategies that will prevent illness and maintain health for those living with a chronic illness. It is their goal to assist you in achieving the best possible quality of life. They will refer to other clinic team members as needed. The Nursing staff is there to complete an initial assessment that reflects your needs upon your arrival to the clinic. This assessment is in preparation of your appointment with the nurse practitioner and/or physician to further inform them about your expressed concerns that need to be addressed during your visit. At our clinic, our nurses also hold a lab service for East End Family Health Team patients on Tuesday mornings from 8:30am to 10:00am. Patients can drop by with their lab requisition to have blood work done on a first come, first serve basis. Our Ontario Telemedicine Network (OTN) Nurse makes your videoconference health visit comfortable, organized, and confidential. This nurse is available to assist you with any treatments you require under healthcare practitioner supervision through video conferencing across Ontario. Our Secretarial staff are the cheery voices that you hear when you call and the welcoming faces that greet you at the front desk when you arrive for a visit. They will do whatever they can to assist you in meeting your health care needs. Make sure you inform them if anything has changed regarding your health or health card, so they can update your records for the nurse practitioner and/or physician. Registered Dietitians are the experts in the area of diet and nutrition and by working in conjunction with other team members they can play an important role in preventing and treating illness. Patients who would like to see the dietitian only need to ask and an appointment will be scheduled. The dietitians can answer any dietary questions you may have dependent on your needs and assist you in adjusting your goals. Just call the secretary and ask her to book an appointment for you. The Health Promoter is available to help you navigate a variety of health programs in the community to maximize your overall health. Patients can either participate in group healthy living programs or schedule an appointment with the Health Promoter to determine the best path to improving their overall health for general or for individual purposes. Our Pharmacist is available Tuesdays and Thursdays to counsel patients on their medications, side effects, or possible over the counter remedies that you may be considering. This professional will support you through smoking cessation with counseling and assistive therapies and arrange for refills on your medications. The pharmacist can review any medications that require a refill, but remember, he needs 30 days notice, so do not wait until your pills run out. The Social Worker at our clinic is available to see patients for a variety of reasons related to individual social needs. Patients can self refer to our social worker who is there to assist you in developing strategies to cope with personal and/or family matters. Our Executive Director would like to hear from you to share your satisfaction or to address any concerns. 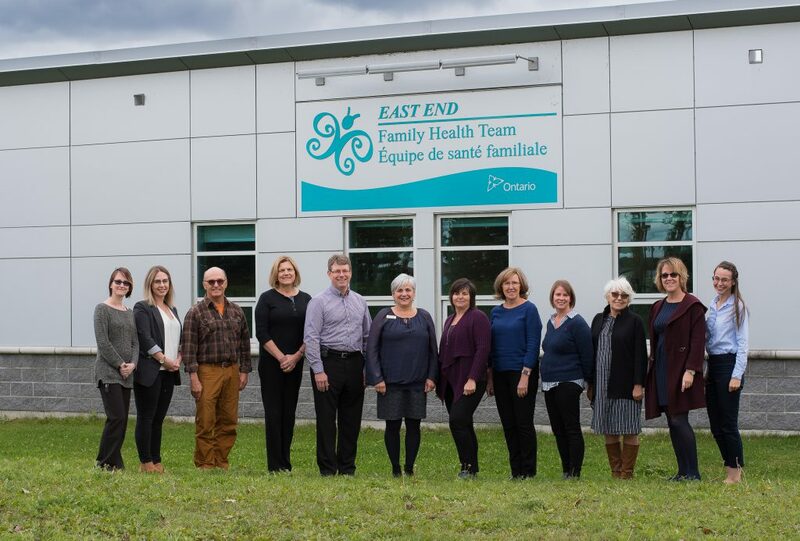 The East End Family Health Team wants to serve you better and the best way for us to achieve this goal is to receive your appreciated feedback.